It’s important to think about the plants you include in your garden. Remember, what you grow in your garden matters to birds and pollinators. Whether you want to create a space for happy hummingbirds or plant for more pollinators, Audubon North Carolina’s Bird-Friendly Native Plants of the Year program is making it easier to choose plants that benefit the birds and other wildlife in your yard. There are hundreds of native plants that benefit North Carolina birds so getting started might feel daunting. 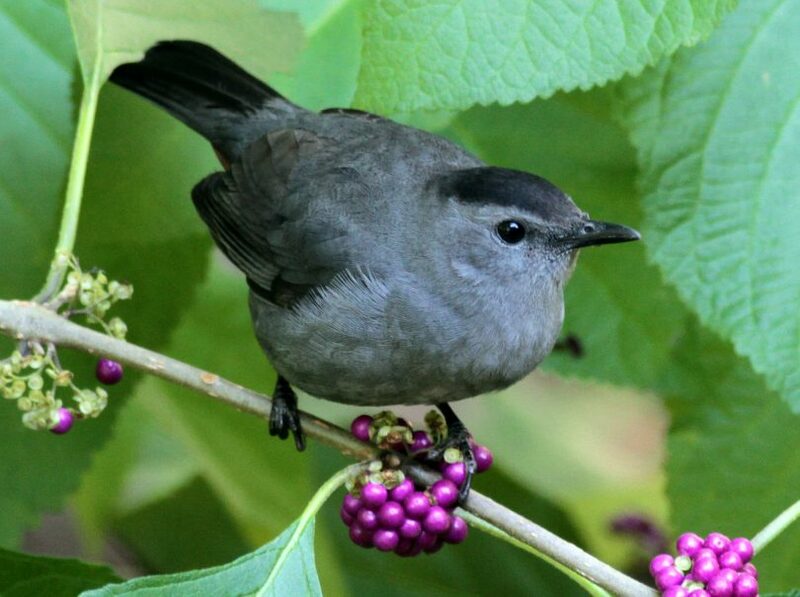 Audubon’s program provides a guide for selecting bird-friendly native plants, and a list of retailers statewide that sell them. The plant list of 400 choices offers gardeners a range of plants birds need during each season. Wildlife depends on the food provided by native plant communities. These plants are the home, pantry and nursery for our birds. American beautyberry has colorful berries that provide the perfect fuel to the migrating Black-throated Blue Warblers as they pass through the state. The seeds of little bluestem will attract a variety of birds including cardinals, buntings, finches and grosbeaks. The seeds are also an important food for sparrows making their southward migration journey each fall and keep feeding birds throughout the bare winter months. Cardinal flower is an excellent source of nectar for Ruby-throated Hummingbirds and will act as a pollinator magnet attracting butterflies, bees and other pollinating insects.